EaseUS Data Recovery Wizard for Windows XP - an automated application that is used to recover various items on a solid-state drive. The program works with multimedia files, images, documents. Software is an application that includes several modules. Each component works under certain conditions. If the user accidentally deleted the necessary information, then Deleted File Recovery is activated. After formatting local partitions, Complete Recovery is applied. The consequences of a virus attack neutralizes Partition Recovery. 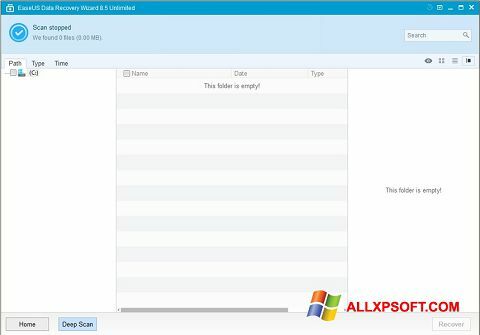 You can free download EaseUS Data Recovery Wizard official latest version for Windows XP in English.